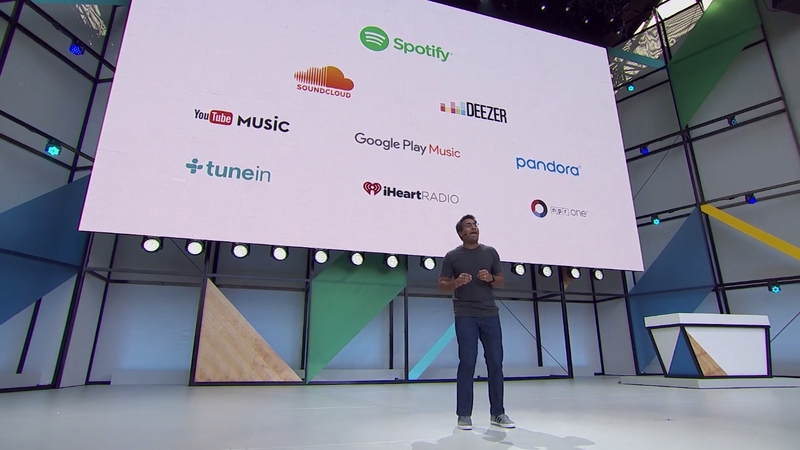 Back at I/O, Google promised that the Home speaker will add more music streaming services like Deezer and SoundCloud, as well as open up Spotify to free accounts instead of being limited to Premium. The Deezer integration started rolling earlier this month, and now Spotify free seems to be following suit. If you have a free Spotify account and are OK with listening to ads, not being able to skip songs all the time, and don't mind the lower quality audio, then you should be able to enjoy your music on the Google Home just like paid Spotify Premium subscribers have been for the past months. I'm not sure if the option is live now or if it's rolling out (I have a Premium account that's already linked to Home), but the Google Home support page was just updated to add Spotify free, so it should be imminent. If you want to add your Spotify account, head over to the Home app, go to the Music section, and you will see Spotify there (you need to have the app installed on your phone first). Add the login info for your free account and it should technically be associated with your Home. You'll then be able to play music with voice commands and even send it to other Cast speakers around your house. This page has a detailed explanation of what voice commands do depending on whether your have a free or premium account. Ever since the launch of Google Home, if you were a Premium Spotify user, with a simple “Ok Google, Play Spotify” your Assistant helped you control music listening, all hands free. That changes today..
We’re excited to announce that, starting today, both Spotify’s Free and Premium users are able to enjoy Spotify on Google Home in the US, UK, Canada, Australia, France and Germany. This marks the first time that Spotify has been available to our Free users on a voice-activated speaker, and we’re thrilled to work with Google to continue to fill the homes of all of our users with music.